Russian-terrorist troops continue shelling the advanced positions of Ukrainian troops in the ATO zone, using small arms (in most cases), heavy infantry armaments (grenade launchers, mortars, anti-tank missile systems), and cannon and rocket artillery (primarily in the seaside [Mariupol] and Donetsk sectors). Over the last weekend and holiday [March 8th], 1-2 clashes took place every day, with the use of infantry weapons and artillery. Taking advantage of the “ceasefire,” the Russian-terrorist command continues improving the combat ability of their units. As of this time, they succeeded in creating a single command structure of the so-called ‘Army of Novorossiya.’ Despite the occupied territories being divided into the ‘DNR’ [Donetsk People’s Republic] and ‘LNR’ [Luhansk People’s Republic], their military formations have now been reorganized into a clear structure (with operational and administrative management), and are grouping and acting following a single plan and a single idea. Essentially, during the “ceasefire,” the Russian military command reformatted the ‘DNR’ and ‘LNR’ gangs, and units of Russian mercenaries deployed in Donbas, into a rather combat-ready army, subordinated to a single command. At the same time, the enemy continues efforts on the “front line,” aiming to increase the combat ability of Russian-terrorist units, which includes resupplying them with combat equipment, armaments, and personnel. Comprehensive combat training and accumulation of supplies and technical resources are underway. Over the last week, we observed 30 to 80 armored and transport vehicles on the move, per day – moving between different areas, as well as between Russia and the occupied Donbas territory. 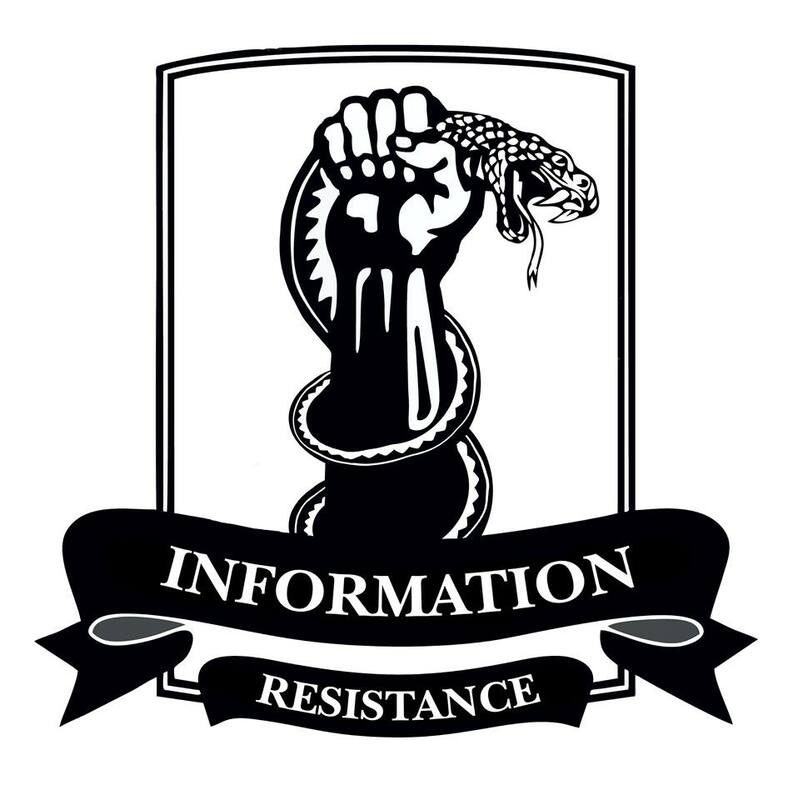 • Northern tactical strike group – in the Donetsk sector (the bulk of forces concentrated in the Avdiivka sector). A separate tactical group, up to a composite battalion in strength, is operating on the Krasnohorivka – Pisky stretch (12 tanks and 20 ACVs). The “Horlivka garrison” itself (up to 3,500 personnel, 35 tanks, and 26-28 ACVs) is receiving heavy shipments of armored equipment – some, previously damaged and repaired; some, redeployed from other sectors; in some cases, transferred from Russia (over the last few days, approximately 8 pieces of combat equipment, including 3 tanks, were restored and transferred). We also note several “specific” weaponry types, such as Strela-10M and Osa-AKM anti-aircraft systems (including their modernized models). The northern tactical group is supported by several artillery units (including cannon, self-propelled, and rocket artillery). They operate a total of 45-50 cannon artillery units (consolidated in 4 artillery groups) and 24 multiple rocket launcher systems (consolidated in 3 artillery groups; including mainly MB-21 Grad units, several BM-27 Uragan BM-27 units (previously spotted in Yenakijeve), and three BM-30 Smerch units). In this group, the bulk of terrorist artillery is withdrawn deep behind the enemy lines, while some remain on the advance firing positions (as so-called ‘support groups,’ up to 30% guns and systems). The BM-30 Smerch group is based in the area of Makiivka; whenever necessary, it moves to prepared positions, executes a strike, and promptly leaves the position. Independent deployment and withdrawal routes are developed for each artillery unit ahead of time. • Seaside tactical strike group – in the Mariupol sector, mainly concentrated to the north and northwest of Novoazovsk. A portion of this group’s forces and equipment takes part in battles on the Pavlopil – Shyrokyne line; another portion operates in the Zaichenko – Oktyabr area. This strike group includes up to 2,500 personnel, divided into several mixed tactical groups (manned by local insurgents and Russian mercenaries). It operates 25 tanks and 18-20 armored combat vehicles, and a large number of transport vehicles (up to 60 army vehicles, over 20 MT-LB and other tow trucks, as well as various repurposed off-road vehicles, primarily as part of mobile mortar groups). Continuous supplies of personnel and combat equipment are arriving from the northern sector through Telmanove, and across the Russian border in the vicinity of Maksimov (10-12 units of combat equipment and motor vehicles pass through Novoazovsk and Bezimenne every day). This strike group is supported by an artillery group operating 14 multiple rocket launcher systems, 32-36 artillery units (cannon and self-propelled), and a large number of mortars. The artillery group operates as small firing units, but is commanded through a single command point. • Luhansk tactical strike group – in the North Luhansk sector (Shchastya, Stanytsia Luhanska). After imitating withdrawal of heavy armaments (in reality, the latter were moved a short distance and camouflaged), the enemy continues concentrating a tactical strike group in the region between Pervomaisk and Shchastya (including the Alchevsk – Perevalsk stretch). A portion of this group is concentrated to the east of Luhansk. Additionally, enemy units are regrouping in the area of the Bakhmut motorway. Essentially, the Luhansk tactical strike group is a combination of three tactical groups with a single command center (one aimed at Shchastya; another, at the stretch between Trokhizbenka; the third, directly at Stanytsia Luhanska). The actions of these groups are coordinated in terms of time and place; they also have a centralized supply system. In total, the three tactical groups of the Luhansk force include 5,000 to 5,500 personnel, 48 tanks, approximately 85-90 armored combat vehicles, and 125-130 motor vehicles and tow trucks. Additional supplies of combat equipment are arriving for this strike group (after repairs as well as from Russia). South of Luhansk, a training center has been set up for equipment crews. The Luhansk tactical strike group is supported by three artillery groups (in total, up to 50 cannon and self-propelled artillery units, and 36 MRLS). They also have the capacity to operate as individual firing squads. A distinguishing feature of this group is its high capacity to maneuver personnel and equipment from one flank to another. It was great to learn that Nadiya Savchenko ended (or suspended) her hunger strike at last but it is unfortunate that she is still kept in captivity nonetheless. This is while she apparently needs thorough medical treatment because of her nearly 3 months long huger strike now. The latest report from the prison by an interviewer here said that she was vomiting. However, she is still kept in a prison cell like a criminal. She is not supposed to be in the Moscow prison and the leadership of the West needs to tell this truth to their own peoples more seriously and more often in order to enlighten them so that the Kremlin will hear the “voice” from the West. In the meantime, the world has witnessed the assassination of Boris Nemtsov in front of the Kremlin. Some culprits for it are already detained but many people around the world, including Garry Kasparov, doubt whether they are truly responsible for the assassination and whether a true assassin who pulled strings behind them will get punished, too. After all, I suspect not many people around the world are expecting justice over the assassination from the Kremlin and its master, the Russian Dictator Putin. In the first place, the Kremlin has been a place far from “rule of law” ever since it was built as a fortress there. The Kremlin has been thinking it has the truly legal authority to detain someone such as Savchenko. But, when the Kremlin knows that it has no legal right to detain someone, such as Boris Nemtsov, apparently it would rather choose to assassinate him/her the way the latest assassination was carried out right in front of the Kremlin. Not to mention other notorious assassinations. Even after such an obvious assassination of a high profile politician of Russia itself (apparently by itself), the US and the Obama White House still refuse to provide decent weapons to Ukraine in order to honour the Budapest Memo. Perhaps, the American President Obama suffers from his own personal incompetence now while the Kremlin has been exploiting it. Fortunately, the UK (another party to the Budapest Memo) has decided to send military trainers to Ukraine recently, though belatedly. Incidentally, this year marks the 8 centuriies anniversary of the Magna Carta of England, which founded the modern tradition of rule of law for the rest of the world. Under the rule of law and the principle of Habeas Corpus, no one is supposed to be abducted by the Kremlin the way Savchenko was abducted. A similar legal rule existed in the Polish–Lithuanian Commonwealth as well, known as the “Neminem captivabimus” (http://en.wikipedia.org/wiki/Neminem_captivabimus). Even the ancient Ukraine was ruled by such a legal principle, as far as we know today, unlike the lawless Russian territory back then. Even today, however, the Russian territory is ruled by well known arbitrary rulers and dictators like Putin himself without the rule of law. And, very often, the dictators there chose to assassinate their critics in Moscow, by the way. The Russian Dictator Putin apparently believes that he can get away with all the crimes he has committed under the sun. But he is very misguided. Probably, the Russian “nuclear weapons” he has been boasting of will not help his dictatorship either. Basically, no nuclear war will take place in Ukraine while it could break out in the Far East, instead, because the both parties in Koreas are known to have nuclear weapons. But Putin concentrates himself on his western border always. Therefore, now he is defenceless on his eastern border, ironically. Today, the leaders of the West need to contain the Russian aggression before the aggressive war spreads out of the Donbass regions of Ukraine the way cancer does, unless the leaders of the West believe that aggression in general is good for them. If they fail to contain the cancer called the Kremlin today while it is still waging a “regional war” inside Ukraine, then, later they will have to face it at a later and larger stage and will have to deal with a far more serious cancer risking the lives of themselves probably. 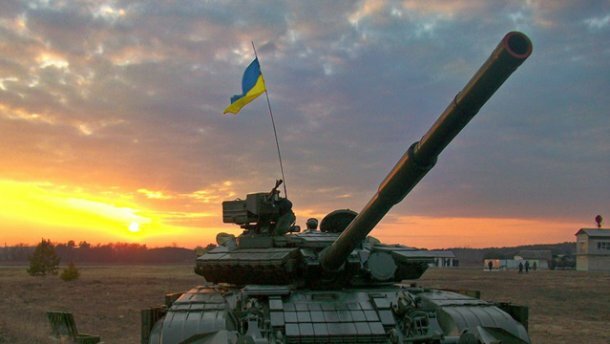 Hopefully, the leaders of the West who still support the rule of law itself will immediately start providing decent and advanced weaponry to Ukraine in order for Ukraine to defend itself, defeat the aggressor within the country and to deter a further aggression by the obviously delusional Russian dictatorship. As we all know, to provide Ukraine with so-called counter-battery radars is not sufficient any more. Ukraine needs to be armed with advanced defensive weapons including anti-radar missiles to neutralize the Russian anti-air systems which dominate the Donbass today and modern electronic devices including communication gadgets. At the moment, I suspect that the West needs to consider providing Ukraine latest stealth fighter-bombers like F35 together with such anti-radar missiles sooner rather than later. At least, even Turkey and Israel are purchasing the F35s although they are not under attack officially even today.